The main body of this Raspberry Pi 3 case consists of a top half and bottom half that snap together to form a protective covering for the RPi and other sensitive electronic components. 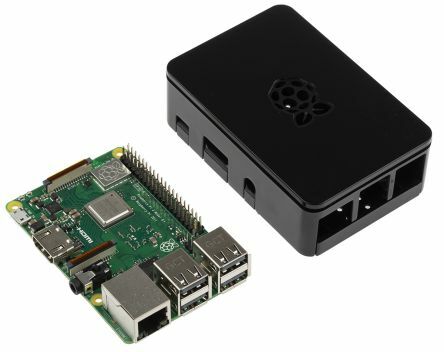 The Raspberry Pi 3 enclosure features cut outs for micro-SD, USB and Ethernet ports. 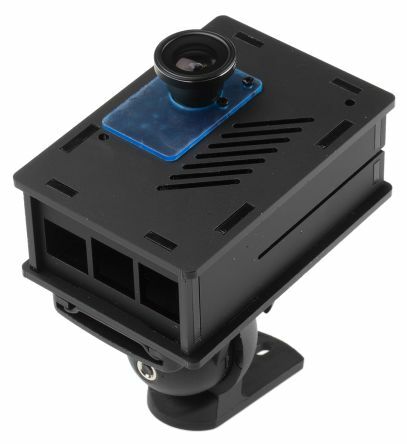 Apertures or light tunnels in the sides of the enclosure allow status LEDs to be visible through the case. Pegs incorporated into the base of the case are designed to fit the holes on the RPi board for accurate alignment. The top of the Raspberry Pi case features a large cut-out allowing room for accessory cables. 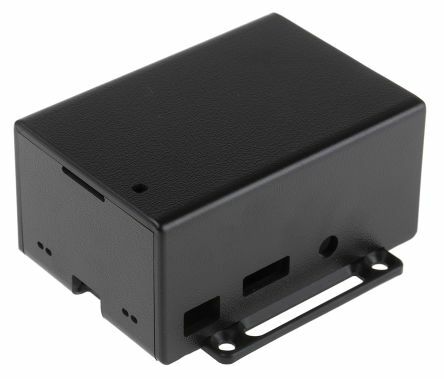 Anti-slip stick on feet are provided to secure the base of the Pi case firmly to a surface. 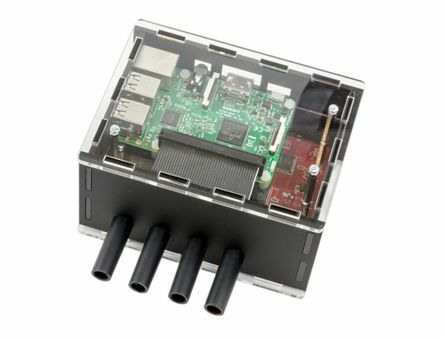 The sides and lid of this modular Raspberry Pi case are both easily removable providing design flexibility and allowing easy access to internal connections such as GPIO pins. The sides incorporate cut-outs for all the main connector ports. The lid provides protection to the internal components and its sleek, polished design provides an attractive appearance. The official Raspberry Pi case can also be used without the lid which allows space when using HAT (Hardware Attached on Top) boards as well as offering extra ventilation. This Official Raspberry Pi case is designed for the Raspberry Pi 3 Model B, but it will also protect your Raspberry Pi B+ or Raspberry Pi 2 if you can accept blocking the LED light pipes.